For the second year in a row the Paint Rock ISD varsity cheerleading squad has competed at the UIL State Cheer competition in Fort Worth, Texas. This continues a tradition of excellence in the last few years that has seen various girls honored with state and national awards for excellence in cheerleading competitions. In the summer of 2018, two Paint Rock Cheerleaders, Whitney Plumley and Kylee Cortese were named “All-American”. 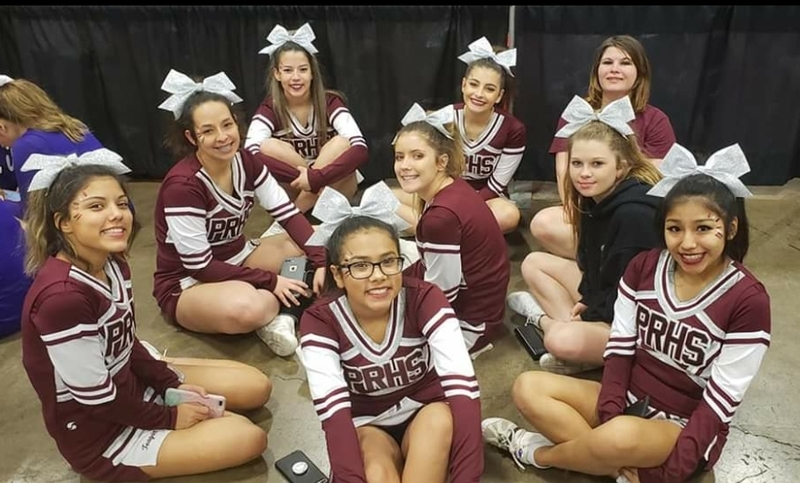 Also in 2018, two Paint Rock cheerleaders, Kylee Cortese and Karina Villegas qualified to participate in the UCA National Cheerleading competition in Hawaii. The girls and their friends and supporters raised all of the money for them to attend and they represented their school very well. In 2017, one of the Paint Rock cheerleaders, Ashley Orozco, represented Paint Rock ISD and the United States at an international cheerleading exhibition/competition in London, England. She too had earned “All-American” honors as a Paint Rock cheerleader. 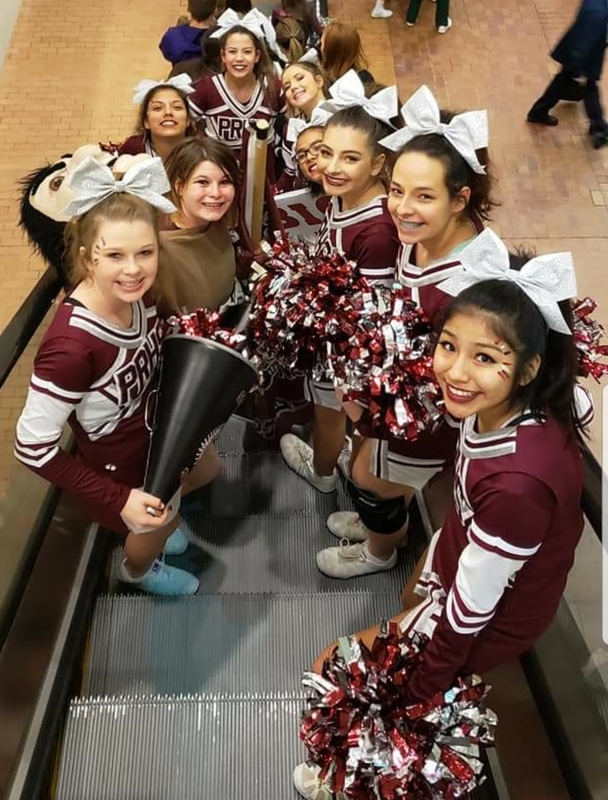 In addition to Whitney, Kylee, Karina, and Ashley, in the past few years, Paint Rock has also had other girls earn “All-American” cheerleading status, including Bailey Balderas and Alia Stone, who after graduating PRISD continued their cheerleading at Angelo State University.